Koen is an assigned Beetle lover who has spent all his hard earned money to nothing more or less than acquiring, restoration and driving his Beetles. This 1969 model Beetle came in @ the BBT workshop in 2003 for some minor finishing welding jobs. Once we started to inspect the works that were done, we discovered something went wrong while someone previously made the job as a friends service to Koen. The whole body was thorn and when we placed the body on a chassis, the gap between body and chassis was about 50 mm. Hard to seal with the original style body seal… The rear apron and rear boot floor were fit in to tight and made the engine bay about 60 mm smaller… We even didn’t tried to fit in an engine. The whole welding job has been done all over again. Koen’s love for this Beetle was so big, he didn’t even think about the fact to leave the project and track another Beetle. The previously done welding job has been done all over again with even bigger NOS panels to prevent to end up with a patchwork body. Lots of NOS panels have been used while doing the job, in that time it wasn’t that hard to obtain the correct NOS panels @ reasonable prices to do the job. 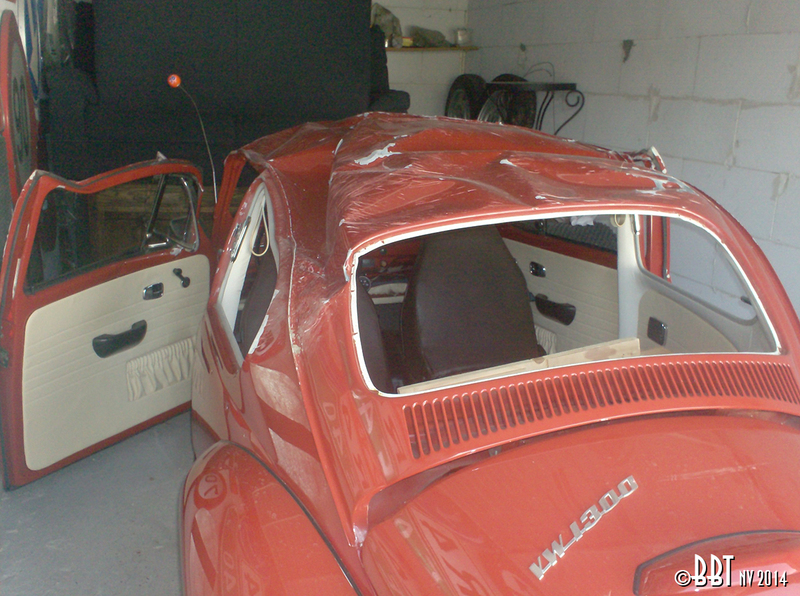 After 2 years we could hand over a whole new 1969 Beetle to Koen and he pampered his Bug since than until last Weekend… A roll-over made an end to this beautiful story and Koen is now on a quest for another body.